Sam Raimi’s Spider-Man had to work. Thankfully for the millions (and millions!) of comic-book lovers, it did. By the time the film was released in 2002, comic book adaptations had gone through a rebirth and then fallen back into campy nonsense with the late 90s Batman movies. X-Men had successfully shown that these adaptations could be “cool” again in 2000, but like the Batman films that came before, it was forced into a kind of grounded reality that we will (spoilers) get into with the next entrant on this list. Spider-Man couldn’t be shoehorned into a darker, more Matrix-inspired costume or (like Storm and Rogue) have his most fantastical powers taken away. It just wouldn’t make sense. Spidy had never been on screen before and as silly as it sounds to boil an entire blockbuster flick down to one thing, we needed to believe the web-slinging or nothing else would have mattered. And they nailed it. In my estimation, this makes Raimi’s Spider-Man the first in a class of fantasy-style adventure comic-book adaptations that would eventually bring us The Avengers. Because of the technological advancements made by this film, superheroes were no longer resigned to one-on-one fist-fights in tight corridors. Now they could swing from the rooftops and give audiences shivers as the battles took to the sky. In terms of faithfulness to source material, casting a 30-year-old (looking) Tobey Maguire as Peter Parker falls somewhere between having a Batman that kills people and giving us a 6’5 Wolverine. Somehow, the re-boot featuring an even older looking Andrew Garfield managed to double down on this mistake robbing the webhead of one of his most distinguishing characteristics: he is just a kid. Finally having a teen-Spidy – and putting him in the MCU with the Avengers and the Defenders where he belongs – is why I have faith that the best Spider-Man adaptation lies in our future. But the importance of the commercial success of this very first effort should not be understated. 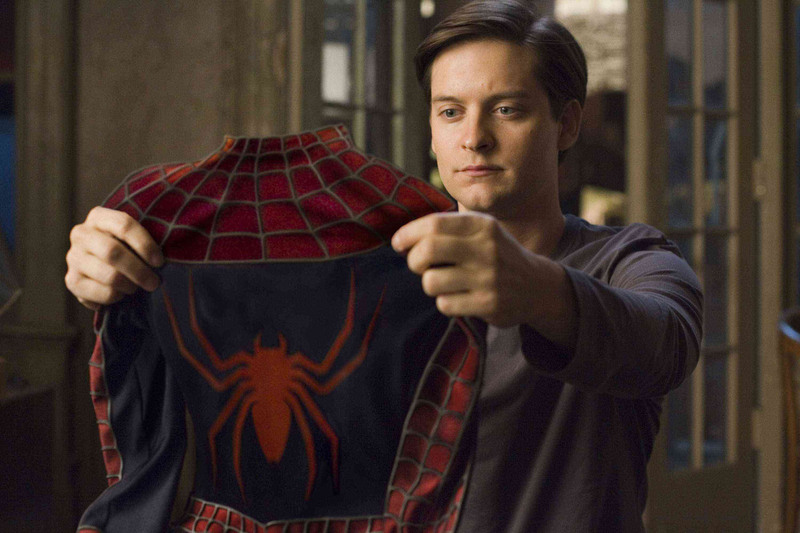 Raimi, Maguire, Kirsten Dunst, James Franco, Willem Dafoe, and the rest of the team proved that bright colors, massive scope, levity, just the right amount of campiness, and a whole lotta CGI was the perfect recipe for a summer escape.